While at IWCE in Las Vegas, I attended a session that discussed how FirstNet interacts with the regulations that govern (as well as the practicalities around) in-building coverage for public safety. Andrew Ruschak, wireless technology consultant at Stantec, voiced some of his professional frustrations around “the lack of information”, including the need for clarification on if or how Band 14 signal reinforcement should be done, who bears legal responsibility for it and who pays for it. He noted that the design and technology assumptions around LMR/public safety distributed antenna systems (DAS) can’t be applied to carrier-based DAS and added that the guidance that consultants need from carriers and FirstNet/AT&T to advise their clients is “yet to be forthcoming”. Ruschak also said that existing code-compliant DASs have very little to no capability for adding FirstNet, for a variety of reasons, including the fact that carriers do not generally allow the use of bi-directional amplifiers, which typically feed public safety DAS systems in the US (MNOs are concerned about the impact on the rest of their network and BDAs “are notoriously bad for raising the uplink noise floor”). He expects that mobile network operators will need to have a very close working relationship with the authorities having jurisdiction (AHJs). The key question in his view is, should carrier-LTE coverage be as important as LMR coverage in buildings in fire and NFPA (National Fire Protection Association) codes – ie, consider FirstNet as an Emergency Radio Responder Communications Systems (ERRCS)? 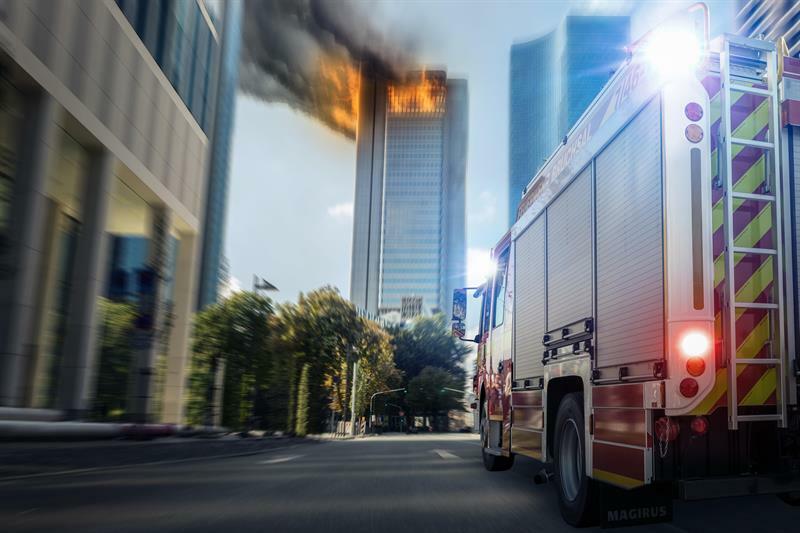 “If the answer to that is ‘yes’, everything changes.” Ruschak believes expectations for in-building LTE coverage for first-responders will increase in line with their use of data-based applications. He also noted that while Band 14 (in 700MHz) is the spectrum that FirstNet has provided to AT&T, the latter uses carrier aggregation, and for first-responders to see the best performance in terms of data throughput, the systems will need to support multiple bands. John Foley, general manager, Safer Buildings Coalition, highlighted the way that the NFPA code is performance-based rather than prescriptive and therefore whether or not LTE is required hinges on if the AHJ opts to put the frequency pairs used by this service on the list that it is obligated to maintain for system designers. He added that this has already happened in Washington D.C. – FirstNet is required to be present within the district in non-federal buildings. He said the existing code also says that the signal shall be provided by the building owner, while also noting that it is in AT&T’s interest to provide guidance so that these systems don’t mess up its radio access network. Foley also said that the Safer Building Coalition is “working at the highest levels to negotiate what that might look like”. Both Foley and Neil Horden, chief consultant at Federal Engineering, emphasised the need to consider how the relevant codes are enforced and interpreted by AHJs, and Foley added that those working on projects therefore need to have good communications with the local AHJ. Over in the UK, things seem a bit more straightforward. Steve Whatson, Emergency Services Network (ESN) product director at the Home Office, explains that with Airwave, the TETRA network currently used by the country’s emergency services, dedicated in-building coverage is only added “when there is a specific need for it to go in” and that this rules out for the most part commercial offices and housing. In the absence of in-building coverage, users revert to device-to-device communications or a nearby vehicle-based gateway (which will also be available on ESN) to boost the signal. Whatson attributes this to the fact that while Airwave operates at 400MHz, which “penetrates buildings really quite well”, a lot of the network’s sites are a long way from the buildings, while those belonging to LTE networks, certainly in urban areas, tend to be closer. In addition, “you’ve often got multiple sites that are hitting the same building coupled with the fact that EE has deployed some 800MHz spectrum deliberately to improve in-building coverage within urban areas”. He says that while these factors have “sorted out a lot of our requirements”, there will still be some buildings that will likely need a “proper in-building solution”, such as thick-walled police custody suites, and “there are quite a range of [coverage] options”. Interestingly, Whatson says that the programme is looking at the use of Wi-Fi by emergency services, particularly for non-critical locations. “Currently, that’s not permitted, but we are investigating that at the moment, so a fire and rescue service’s own Wi-Fi might well be acceptable, but there are some issues.” These include the way that it can take a while for Wi-Fi connections to break once you walk outside the building and concerns over the quality of service – “you wouldn’t want your voice call which could be critical queued up behind my spreadsheet which [is being downloaded over] the same Wi-Fi network”. Turning to the work that is being performed to provide ESN service in the London Underground, Whatson says that the biggest challenge is a logistical one – the small window of time during which the work can be done. He adds that this has become much smaller since a number of lines have started to run 24 hours a day on some days of the week. He adds that a lot of countries are in a more fortunate position, given that their metro systems already have commercial 4G services and that if they were to switch to mobile broadband for public safety communications, they could just use the existing infrastructure. A different issue is in Glasgow as its underground system “has very small tunnels and the trains are very tight to the wall all the way round, so it makes fitting anything extremely challenging”. Whatson says this prevents the use of antennas or repeaters, so only leaky feeder cables can be used and only then after careful fitting and “an awful lot of testing to make sure that it doesn’t in any way rub against the train as it goes through”. At Mobile World Congress I spoke to Tom Kuklo, global product manager – in-building solutions at Radio Frequency Systems (RFS), who explained that MIMO can be used to boost the signal to noise level in in-tunnel systems using multiple leaky/radiating cables and that superior results can be achieved if different polarisations are used (ie, one cable that is horizontally polarised and one that is vertically polarised, with both running along the same tunnel). This results in better in-vehicle penetration and greater download speeds. This approach was used to break the record for in-tunnel connectivity (560mbps) last year in Norway. RFS, together with Telia, Telenor and Bane NOR, used four cables (two sets of both vertically and horizontally polarised cables) to achieve 95 per cent of the theoretical maximum speed for 4x4 MIMO in an abandoned road tunnel. The trial was done as part of the work to provide train passengers on the country’s Follo Line with 5mbps download speeds. According to Samuel Buttarelli, Commscope’s vice-president of sales, Europe, there were some initial concerns about how MIMO would interact with the Doppler effect. This has to be considered given the speed at which some trains travel (250km/h in the case of those in the Gotthard Base tunnel – which uses one of the company’s DAS systems to provide 3G/4G, TETRA and GSM-R services along its 57km length), but the general feedback is MIMO provides significant gain. He adds that 2 x 2 MIMO is being deployed in train tunnels and 4 x 4 MIMO is being considered. While RFS is focused on the commercial market and doesn’t offer vertically polarised cable in the 380-430MHz band typically used by TETRA, Kuklo added that it’s still possible to use MIMO in this band through the use of two radiating cables. We briefly touched on the subject of passive intermodulation (PIM), which has to be kept to a minimum in passive infrastructure. André Doll, RFS’s CTO, highlighted the need for copper cables to be as clean as possible, while Kuklo said the PIM issue is why RFS educates engineers and installers on how to properly connecterise cables. Kuklo also explained that RFS sells cable for use in US public safety DAS in red, just so building owners can turn round to their contractors and say ‘whatever you do, don’t cut the red cable’. One of the most challenging aspects of in-train coverage, according to Alastair Williamson, CEO of Ranplan Wireless Network Design, is the way carriages act as Faraday cages, and the impact this has on RF signal levels must be considered when designing in-tunnel public safety networks, so first-responders have the two-way radio service they require when inside a (typically) stationary train during an incident. Ranplan’s tools for in-tunnel network design can model “the physical train”. At MWC, the company launched a new set of planning tools, one of which is “focused directly at public safety in-building requirements”. It can generate the reports that regulatory bodies would need to see for them to sign off on a network design, designate areas within a building as mission-critical zones that have to meet specific KPIs and allows the user to understand what the quality of service will be for a given service (eg, video streaming or MCPTT) at any point in the building. 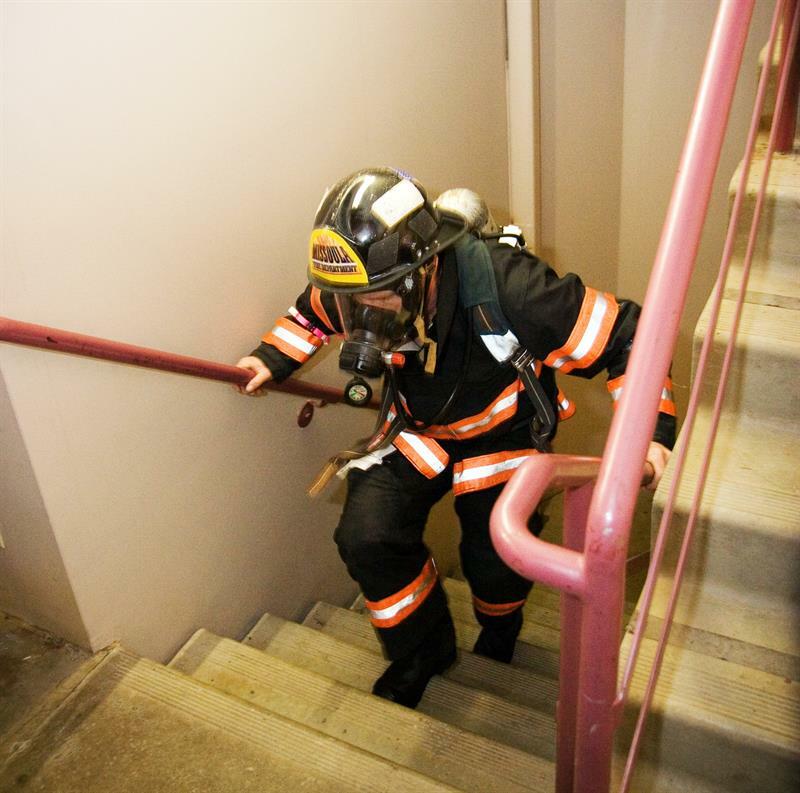 When it comes to in-building coverage, public safety’s requirements differ from those of commercial network operators, as the former require coverage in unpopulated areas, stairwells, basements and elevators. Ingo Flomer, business development director at Cobham Wireless, notes that the same holds true for Internet of Things (IoT) devices. Similarly, it was interesting to hear Commscope’s Buttarelli say that industrial companies, such as vehicle manufacturers, are starting to use in-building systems that use commercial frequencies but are designed from an availability/resilience perspective with some of the same criteria that are used for TETRA systems; for example, the use of redundant equipment to reduce the impact of failures on quality of service or data throughput. We have seen that approaches to in-building LTE can vary widely, and as time progresses it will be interesting to see which become the most widespread, together with the degree to which first-responders may become reliant on (and expect) the data services that will be enabled by in-building LTE coverage.